Hubby has business colleagues that are located in Georgia, and while chatting with one recently he mentioned that we get Vidalia onions all the way out here on the West Coast in California. He then added the caveat that they're the best and sweetest onions we can buy. His colleague was surprised that Georgia's produce makes it all the way out here. A few days later, an unexpected FedEx box came to Hubby's office addressed to him with a return address from Georgia. Inside the box Hubby found a beautiful assortment of Vidalia's--one being the biggest onion he has ever seen. He was giddy with laughter when he called me mid-day to tell me about his surprise package. Only a true foodie would do that. 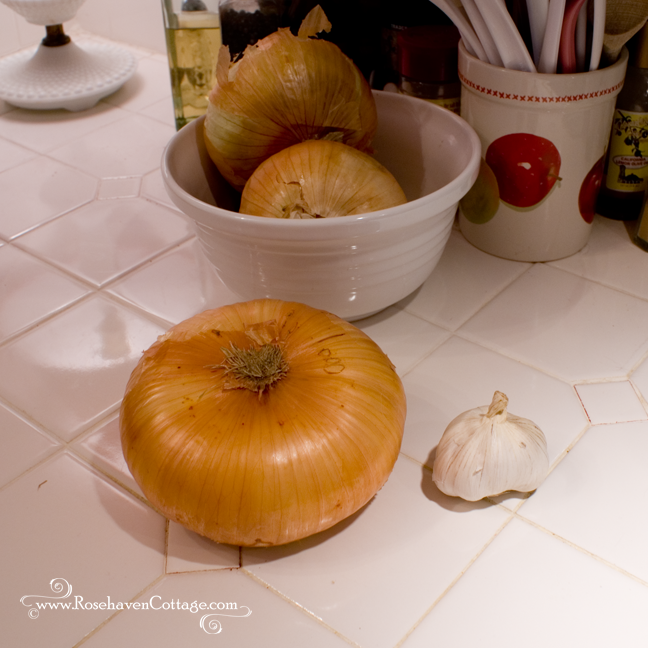 When he came home later that day, I found he wasn't exaggerating about the size of the onion. He doesn't exaggerate so I expected it to be big, but not that big. 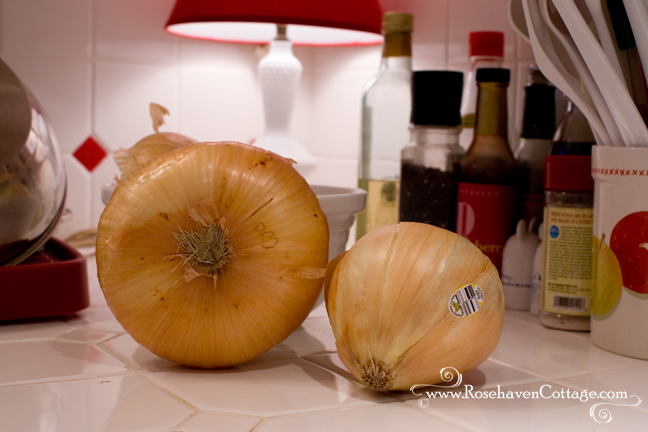 We put it up next to the largest onion we had from our recent trip to buy produce and it dwarfed it (see photo above). Then I put it next to a head of elephant garlic and the Vidalia's size was even more pronounced (see photo above). It was so striking the Vidalia deserved it's own photo shoot (hence the photos in this post). 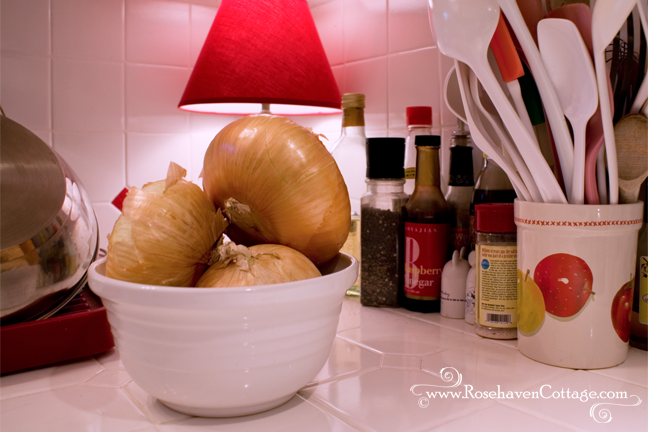 Now like every onion in our kitchen, it sits in the onion bowl waiting to be cooked up into something super yummy in the hands of my skillful and talented Hubby. He's thinking it'll become homemade onion rings. I'm thinking it might become a lovely pile of aromatic caramelized goodness to be served with chicken or beef. Regardless, I know it will be yummy and live up to the reputation the Vidalia onion has in this household.